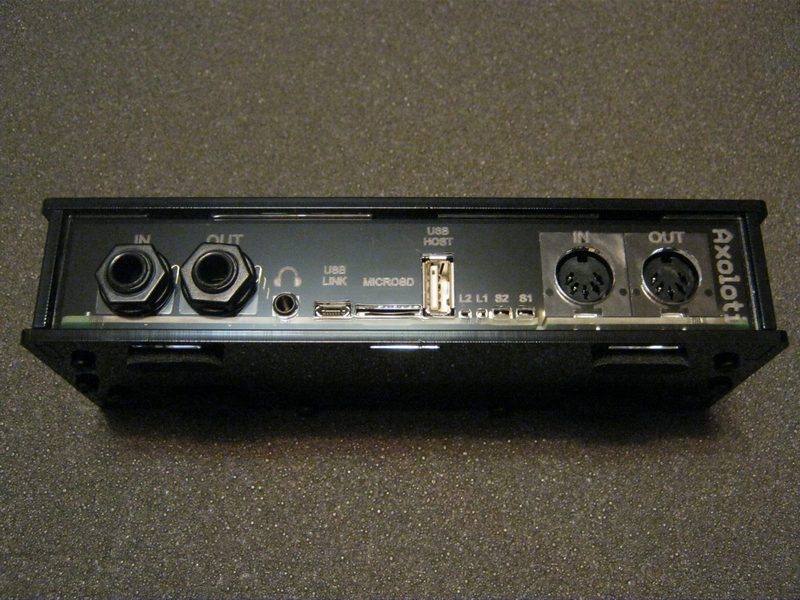 Does anybody in Europe have a plexi enclosure & mechanical parts to sell ? best is to get Formulor.de to cut them for you. I've had 4 cases cut by them and it is perfect. Just use the blueprints on github from janvantomme (linked in the top posts). Be sure to prepare the lines with correct colors (can use a demo of illustrator) and then get some screws. The instructions are great. 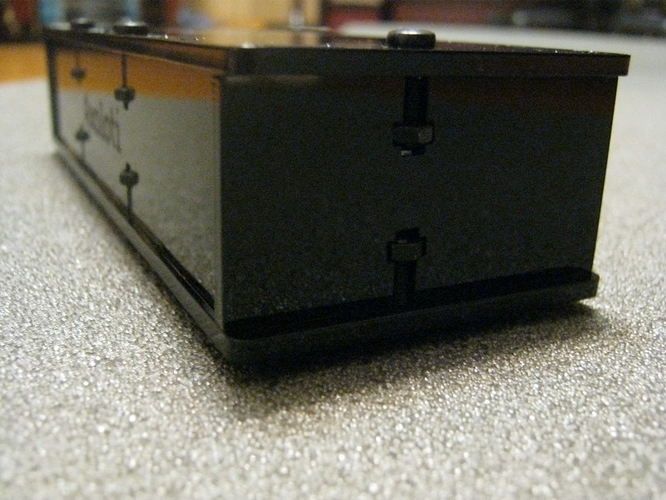 The spacers to mount the Axoloti board on the bottom plate were missing in the previous version. Anyone had success finding Metric acrylic in the US ? It may not be necessary to use Metric acrylic sheets. Using 1/8" thick sheets is quite close. You just need to make the rectangular holes a little higher. Don't know the standard sheet thickness for the front plate. 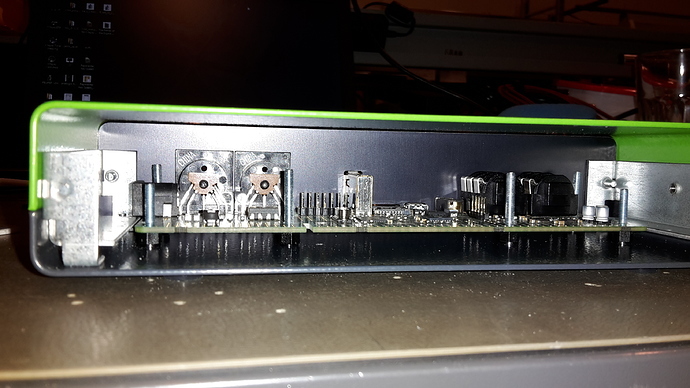 I´ve recently got all parts of my enclosure together and wanted to share a pic of the end result. It´s an enclosure bought off the shelf (from Conrad), and a panel that I made in Frontpanel designer. Thanks to the enclosure work of janvantomme and his drawings together with my own measurements of my own axoloti core board (going through several iterations with paper printouts), I got it to fit quite nice. 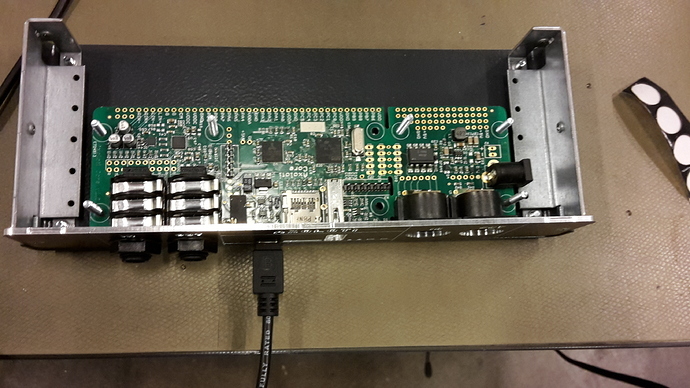 The case is aluminium and really easy in assembly, unfortunately the flanges on the insides weren´t big enough to provide support for the core board. So I choosed to use plastic M3 standoffs/nuts and screws from underneath. As seen in the pictures, it could be possible to design some extensions or a rail. But the part of the flanges that could provide support and the axoloti board are on differents heights (fractions of a mm in difference). That would take some work to do. My plan is to order an second panel for the backside where I will just mount a panel DC-jack. But for the time being (learning the axoloti/patcher), it´s put on hold. Enclosure art. no: 457453 (conrad.com). Panel is 2mm black anodized aluminium, with text and lines engraved (no color). Unfortunately I can´t attach the panel design in this post due to the filetype (fpd) not being supported. @moderators: perhaps fpd filetype can be added as accepted filetype in attachments? I will happily share the frontpanel design thru email or something if anyone here is interested. However, it might be that your axoloti core board doesn´t fit the panel as good as mine does. My recommendation is to download the frontpanel designer software (freeware, you´ll need it anyway to order the panel). Then making paper printouts and checking physically if it seems to fit your own axoloti core board without any big trouble. Besides that: you also have all sorts of options available in the software, other panel color, more/less/remove text and/or other font, add/remove lines,adding graphics and what else. Answered: Anyone have a to-scale drawing of the Axoloti's port array? To anyone downloading/using this. Please share your design as well, it´s fun to see the creative alternatives! Thats awesome mike... exactly what I was looking for. now I just need to make a firm decision on exactly how I want to have my boards setup.... but Im sure you template will gives me the majority of what I need. Yes. Plates on both sides, exact same dimensions and position of screws. Even got the feet included. It´s also possible to turn it upside down, and rotate the panel if you rather like the dark grey side up instead (although there are four visible screws for the flanges inside). You´ve got more than one axoloti cores, right? Another option for enclosure is farnell #1549974. Axoloti core slides in the slots after removing the DC socket. Add a similar frontpanel from schaeffer and it should look fine! 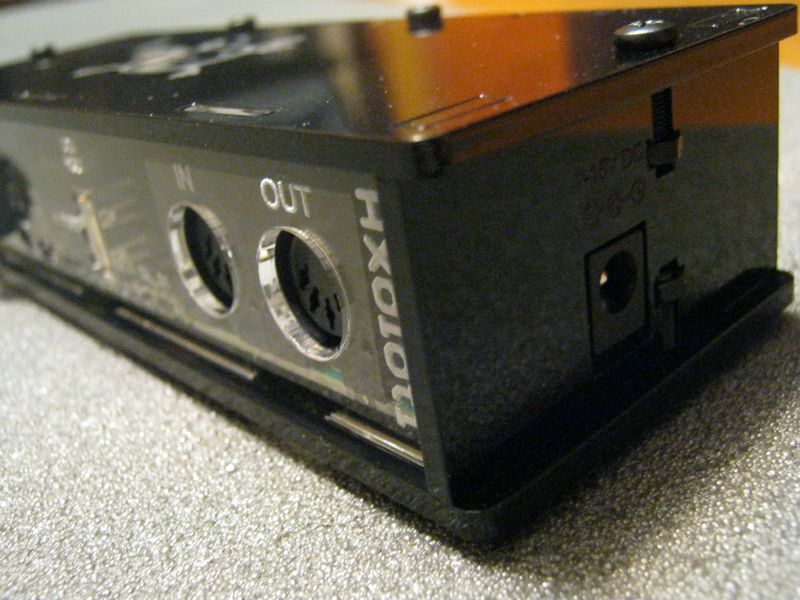 It has space to fit two panel mount jack sockets, so you could rewire the stereo line in/out into dual mono line in/out. 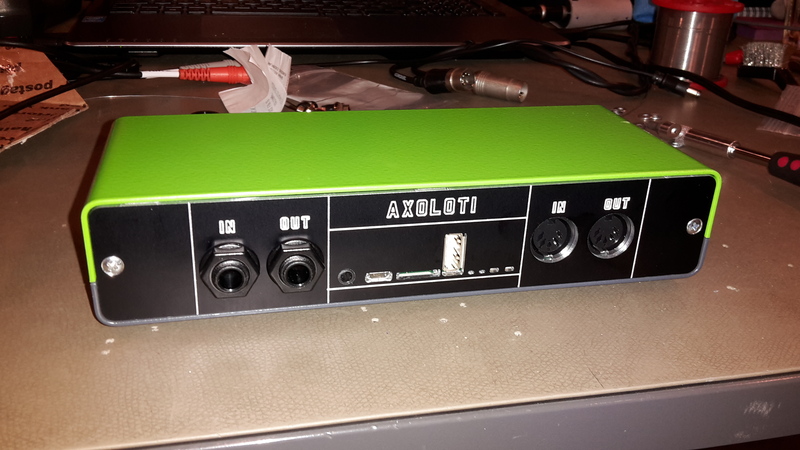 After cutting the DC socket on the circuit board, it is still possible to wire up a panel-mount DC socket to the "X2" solder holes on the Axoloti Core. I have made a printable Axoloti case. "Look, Ma, no screws!" Two parts only, snap-locking. I made the glowing transparent Axoloti logo just by changing materials between certain printing layers and mounting an LED behind it. I am not yet very content with it, though, it is merely a first prototype. But I could imagine to make the design public later. Certainly I will not publish something with the logo as "mine". But we could consider making this printable case the "official" one, couldn't we? If it's open-source, users can design their personal variants and find someone to let it 3D print. @Jens_Groh Great. I have a 3D printer in my office. Let me know if i can help you by testing your g-code. @loopmasta Oh, thanks, I have one. I'd be curious to have those plans eventually ! We have a 3D printer at work ! I like the fact that this enclosure doesn't have the overlapping top and bottom edges. Would love to print it. Glad you like the look. But it is difficult to print, I had to straighten some deformations. I want to make it reproducible and easy to print. It will probably be a four part shell next time. But first give me some time to explore the software side of my new toy. I want to make some noises! Hi @cereyanlimusiki, check on https://www.fablabs.io/map if there's a fablab nearby, grab the files on a stick and get there to lasercut your "JanVanTommeAxolotiEnclosure"
How close is the 2mm backplate to the components? 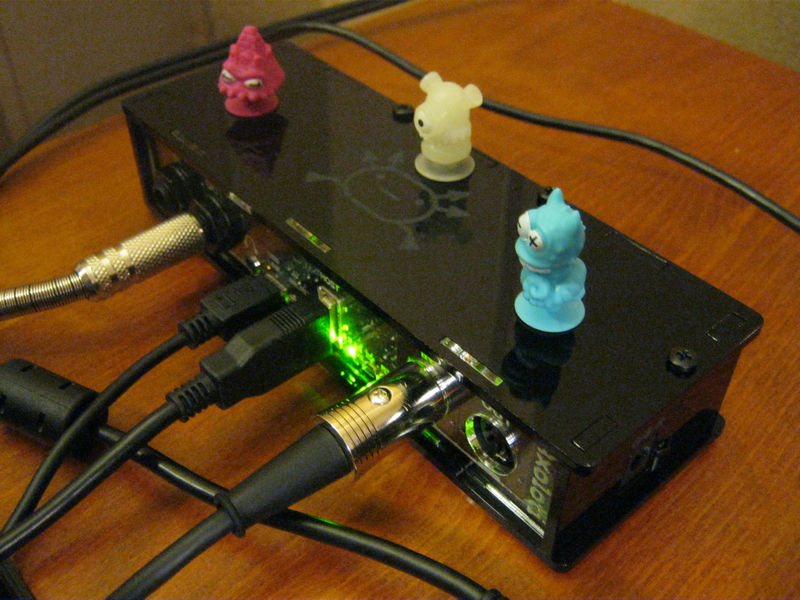 I'd like to make a Ponoko design out of one 3mm sheet and that would mean making the backplate 3mm. I'd rather extend it inwards if possible but obviously only if there's room. 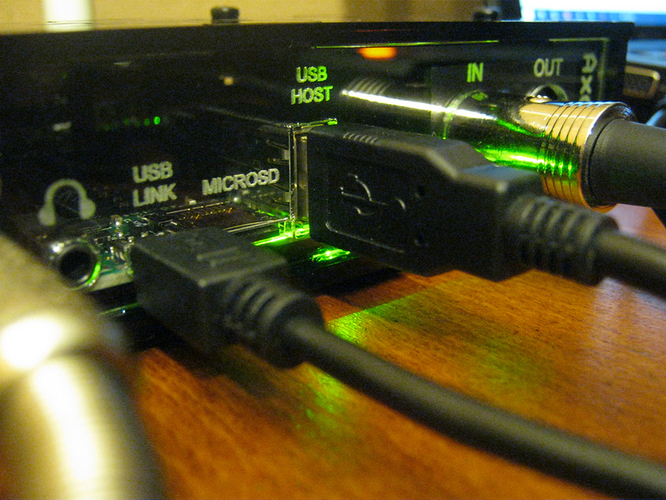 In which case it goes outwards, which may make plugs (like the miniUSB) difficult to access.